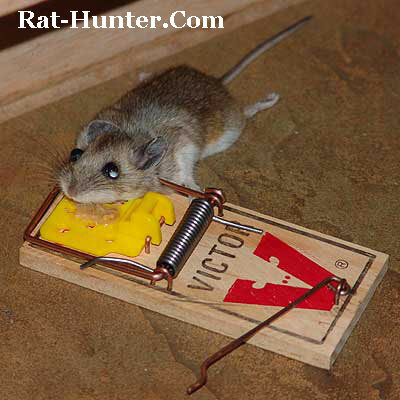 While Kurt, the Fall City Rat Hunter, used a modern-day M-1 Carbine to BLAST away at rats, the classic approach to take care of rats is some Skippy Peanut Butter on a Victor Rat Trap; a very deadly combination indeed! Glad to find a Rat Hunting Bro' - your site ROCKS Kurt. Had some rats running around the kitchen scaring my wife and kids. She wouldn't let me pull out an M-1 Carbine like you, but a dab of Skippy Peanut Butter on a Victor Rat Trap did the job. A worthy adversary. I first saw evidence of him a few weeks ago put out some traps and got mouse. I noticed that my other two traps had also been sprung and all the peanut butter had vanished. I put out some cracker to see if there was still more of these bastards and indeed there were. After eluding me for several days I finally caught up with this beast. Weighing in at just under a heavy pound here he is. The Fall City Rat Hunter Replies: Nice closeup rat kill picture Alek - no Jam/Jelly for that rodent ... and was that Creamy or Crunchy Skippy!?! 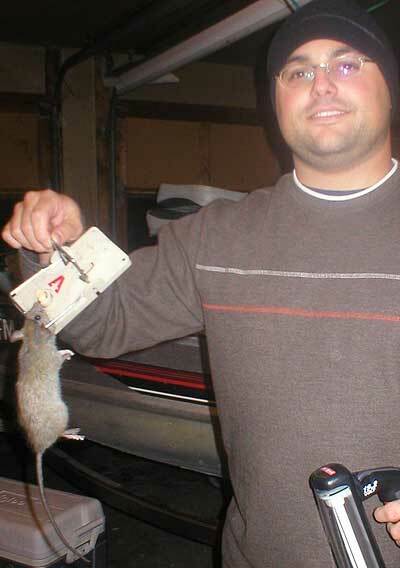 Well done also Paul - that is one monster Rat - the Victor Rat Trap strikes again!